Written by a renowned team of scholars, Social Work Practice with Groups, Communities, and Organizations focuses on the contemporary theory and practice of social work. Each chapter delves deeply into the key theoretical considerations surrounding a particular practice area, exploring the clinical implications of each. Spanning the full range of both mezzo and macro practice areas, the authors thoroughly look at the assessment of and interventions with group, community, organizational, and institutional settings. 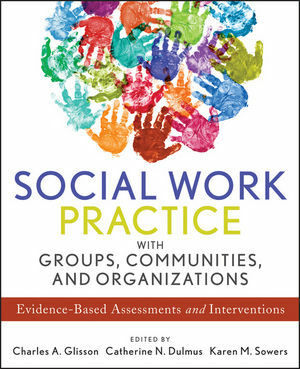 Providing a solid review of the entire scope of contemporary mezzo and macro social work practice, Social Work Practice with Groups, Communities, and Organizations is both an indispensable educational text for students and a valuable working resource for practitioners who work with groups, communities, and organizations of all sizes. CHARLES A. GLISSON, PhD, is Distinguished University Professor at the College of Social Work at The University of Tennessee, Knoxville. He is also the founder and Director of the Children's Mental Health Services Research Center, which is funded by the National Institute of Mental Health.